Personally I think you should put up a large blinking message on every page linking to this before you do it. This is my first time Even looking at this topic Regarding the Data Lost and everything, I suggest giving a week's notice before the change itself happens. That way people can save their stuff and had enough time to do it before they suddenly spam topics such as 'O MA GAWD WHAT HAPPEN TO MY STUFF!? !111' I'll just have to back up my profiles for now. Regarding topics made recently made, will they be removed? Concerning Technology there's still pretty much untapped from SEED than Destiny had showed me. I mean when I first Saw Forbidden Gundam I was kinda surprised by the technology in it. The shielding that bends Shots is similar to Akatsuki. But Akatsuki tends to completely redirect shots, I'm pretty sure ORB can take this tech and use it in some way. EA has Forbidden Suit and can use the Curving beams and blocking beam technology. The Games proved that the beam can go forward or Bend depending on the desire so I'm sure it's credible enough. Phase Shift can be used by all the armies. Considering the time line from Destiny and Advent, they can be implemented into ships or normal suits if necessary. It's old tech but fairly recent still. ZAFT has DRAGOONS. Now the Chaos showed that a normal ( yet drugged up ) earth pilot can use 2 Dragoons. By now I'm sure the technology changed or at least became more usable for normal coordinators. The Targetting from Freedom also was created by ZAFT so they can use it. METEOR attachments also could be implemented into ships and Zaku's. I mean, you people can be original as well. Use tech from the previous series instead of just ripping from other gundam series. It's jsut advice but a lot of Destiny suits sorta provided new tech for every Political group. ooc- I Did PM you twice about this and received no word from it. Both in War Games and plans. Regarding it, I'm fine with anything or whatever status he'd be placed with. I just got tired of waiting and felt like writing something xD Do as you wish, I was just a bit bored and felt like doing something. Or Killed in Action :3 Depending on how long he may be gone, for story wise it'd be better to say he's dead. Then it'd be more shocking to suddenly make him appear. Don't double post. PLANT's already have a miniature Genesis that was shown during Destiny that protected it from Nuclear Attack. I've already discussed with Luibei about a similar barrier around the PLANTs just as the Artemis had around it's base. You'd need only a few satellites to encase it but such power would need Nuclear Energy and such. As much as PLANT's needing protection, the miniature Genesis gun is fine enough. When you think about these series... It's never about the ships, It's about the suits. I mean, if it was simple battleships and etc it'd turn into Star Wars, etc. Along with funding. Phase shift armor was recently discovered, and the wars sort of start up funding and kill it at the same time considering the losses each place has. Dragoons are also a ZAFT discovery, having a newtype/whatever connection with the user. But with the Chaos recently having been made. It could be assumed that a human pilot(Even a Drugged up One) could control at least 2 Dragoons as shown with the Chaos. Akatsuki well, I'm not sure since Cagalli never used it and Mu's newtype or something. As for Ships...they aren't known for their life-spans. Mobile suits are smaller and can destroy ships much more easier. If a new ship is made then it'd be a easier target, no matter the power and equipment. And a Ship is Huge, It'd need a Nuclear Reactor just to survive and recharge the weapons compared to a little suit. Along with one giant ship being made, you can simply make 2 high graded suits. 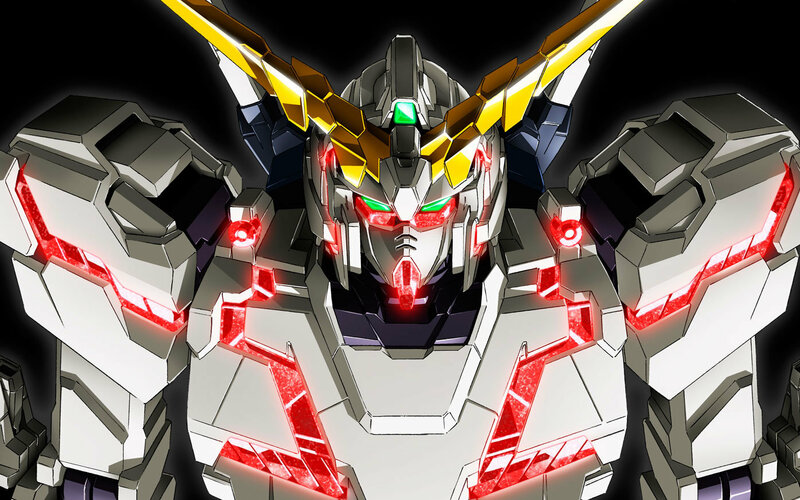 Think of it simply... Series=Mechs not Ships(Even Archangels/White Ship) Need some 'Gundam' to survive. Large Giant Ship VS 2-3 High Graded Suits. It's a simple matter of funding and how much of a target you're gonna be compared to the rest. Funding itself also matters, I'd rather take the high graded suits. One Life VS Ship Lives. If that ship blows, you lose at least a hundred or 50. You'd lose a good pilot but...they're born all the time and can be trained. The guy with glasses wears pink shirts and a purple colored suit It's funny cause for someone so feminine he has Virtue and that suit is friggin fat and overpowered. Personally Dynames is gonna die a sad death, suit seems too...far range. They better make it something good or else it's gonna die fast. Kyrios just reminded me of Wing Zero. or Epyon...whichever..more like Zero though. Exias...Evangelion all the way They just need to put Shinji or Asuka in there instead. Aha, it just hit me. The main characters voice actor; Sutsuna I think it was his name and the pilot of Exia is Yagami Light of death note I kept thinking ' Damn it, so familiar. ' and then it suddenly hit me. An Hour Ago The Suit felt odd at least once worn, having been a custom color of black. Though the shoulder padding was still white and the lining on the sides had a crimson color to it. " And this is supposed to be my suit? " He had asked looking across the changing room at the man that was leaning across the lockers; His Father. " Yes. I'm glad the suit is to your fitting at least, I was worried you grew. " He had said as Ryou picked up his helmet. " Either way this 'War Game' is a test. " He mentioned as he looked at Ryou who obviously knew a she turned around the closed the locket with his clothing within. " I'm sure anybody could tell. I'm sure whoever wins will die first. " Ryou said and turned around crossing his arms and leaning back on the lockers. " The better team may go on the front lines. That's the only thing...it'd be better to lose. " He whispered as he smirked. His father smirked himself. " But losing would mean death after all. Just treat it like a battle. " He had said and then reached into his pocket and threw a small USB stick at him which Ryou caught easily enough. " Plug it into your suit when you start the battle. It'll scan you fighting abilities, compared to previous records and battles. Might give you improvements or failure. " The man said and walked out, having left Ryou in the locker room by himself as he looked down at the small crimson stick and sighed. " Acting like a Father now.......Idiot. You should realize you don't know the first thing about it. " Present Ryou had been walking around the base at the time, having looked at the suits that were given to them. His arms crossed as he looked up at one of the suits and started to daydream about how the battle may go, was it better to lose or win in this kind of situation? Losing would mean that the other team may be placed on the front lines and in more danger but... Ryou smirked as he had such a cowardly way of thinking, he was actually placing his bet on the other team so they might die. How shallow could a man get- " Good morning! " A sudden slap on the back had made him trip forward as he turned around with one hand reached for his back as it felt pain. " Ow, only a slap like that could belong to.. " He turned and saw the smiling face of the operator he had before in several times. A Girl with hazel hair and light brown eyes, having had her hands on her hips. " Oi, you should really stop daydreaming and get back to the control room. I heard your commander and a few members are around..it's gonna start soon anyway. These War Games...Honestly I don't know why we're doing this in the first place. I mean the chairwoman could think of " She would start rambling pretty easily, but she was a good person at heart. At least she was a good person to talk with besides Clare. At least she'd be in another room watching this and talking with him, maybe it'd be more easier now if- " So you kiss Clare Yet? " Ryou had jumped back as her face was up close to him as she whispered the question. " W-what?! What kind of idiotic idea is that?! " He had shouted out as a few people looked over at them, the girl grabbing Ryou in a head lock as she whispered. " Shhh, don't make such a commotion. I was only wondering if little Ryou grew up from the Academy. I mean where are those crazy male urges that must be going through your head? " She asked in a rather funny tone. " What 'urges'?...She's a friend.. " He had whispered as the girl sighed and let go of him. " Puberty must have missed you. You know a girl can only wait so long. " She said waving a finger at him as she walked past. " Get back to the command post~ " She had hummed as she left him picking up his helmet. " What was that all about...? " He whispered and sighed. Ryou had then gone back to the command room and noticed Makoto and Landis as he placed the helmet under his arm and saluted his team leader and Makoto. " Ryou Misaki. Reporting in. " He said in a stronger tone. Meeting Room Kaze had entered the meeting room a bit late, having heard the speech echoing through the hallways and speaker phones. " Mastsuko and Diedrich know how to play the crowd. " He whispered as he opened the room and stepped in, with his arm's crossed. Having heard a few whispers as he passed a few people and sat down. " Oh? Mizaki's gonna be watching this? " " His son is in it. I'd expect nothing less from the man. " " But he rarely makes these sort of appearances. He is the leading scientist in technology, shouldn't he be doing something? " " Even the chairwoman is here. I'm sure everybody is having a day off for this. Now Shush. " His eyes traveled down to his hands, having not been interested in much of the speech and more interested in personal thoughts. He knew ZAFT was protecting the colonies and during the absence that there was a small hole to kill many leading people, though he doubted it. Any ships coming in had been stopped 2 weeks before, and the war games had been announced to a rather large surprise to everybody only 3 days ago. Along with everybody inside the colony and area having had a thorough check in background and reports. Only soldier of a year's experience may have joined to be within this area. Security was tight, for now he'd let himself remain calm and enjoy the small game for the masses.